The Skull Crusher Tee from Grimm Designs is a fitted short sleeve T-shirt. 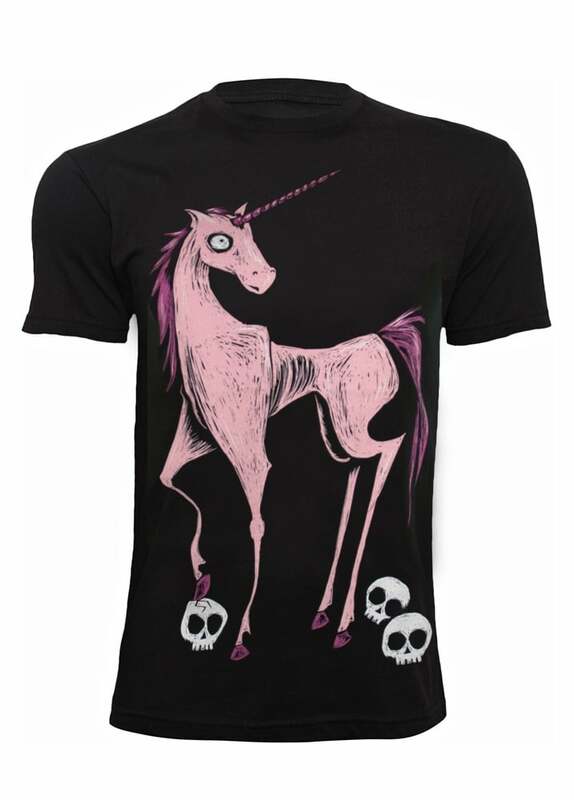 The alternative T-shirt has a sinister, pink unicorn and skulls front print. Watch out for that horn!